Two 2 hour segments. Indoors and Out on the Red Rocks. Spend the day with SpiritQuest Retreats for an event you will never forget! This four hour odyssey is a venture deep into the places of the soul where you will learn to let go, and to be more in the present moment. These sessions help develop your high self-efficacy so you will be the best you can be to live the richest life possible! You are welcome to choose from our extensive session list to create a day which is full and perfect for you. Add a massage or chakra balancing to your experience. Or request a walk in the medicine wheel or labyrinth. Make the day amazing by turning the focus from the outer world to the inner self. Relax and de-stress. This is your day to re-align and gain more balance in your life. 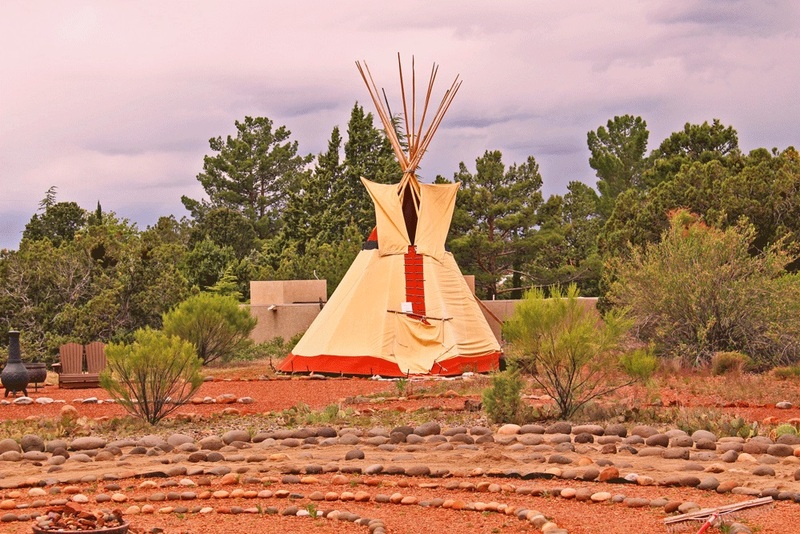 Gather at our lovely Retreat Center located in West Sedona for a Sound Sensation that will blow your socks off! Escape into a realm of discovery as you break through old limitations and unveil the ecstatic beauty and wisdom of who you really are. During this powerful session, various instruments such as the drum, crystal bowls, Himalayan bowls, and gongs are used to clear limiting beliefs and help connect you with your innate body wisdom. This session awakens and activates every cell in the body, leaving you more alive than ever! Next venture out onto the magical red rocks of Sedona to shift your consciousness and focus on what really matters, be fully present and let go of the past. Work with a guide who will teach you to stay in an “attitude of gratitude.” This session begins with building a mini personal medicine wheel where you learn to recover quickly from setbacks. Then create your personal expression to the Universe of gratitude. Let the serene sounds of the flute and drum help connect you to yourself. It’s time to remove all obstacles to your joy and freedom. We have been in business for over 10 years and have been featured on the national network TLC. We have also been featured in the Delta Sky Magazine. We have worked with the YPO (an organization for young CEO’s across the nation). SpiritQuest Retreats is known for its guides who are experts in their fields. SpiritQuest always provides a quality experience. We are about fewer people and more depth. Our reviews speak for themselves. After SpiritQuest, you leave there with a different perspective on everything. It’s very magical. The practitioners are all beyond amazing as well. Would definitely recommend to anyone who is in search of a larger meaning on themselves or on the fabric of life. are so genuine with vast experience. It was what I needed for clarity, peace and to move forward. Thank you Spirit Quest!!! See Trip Advisor for more.